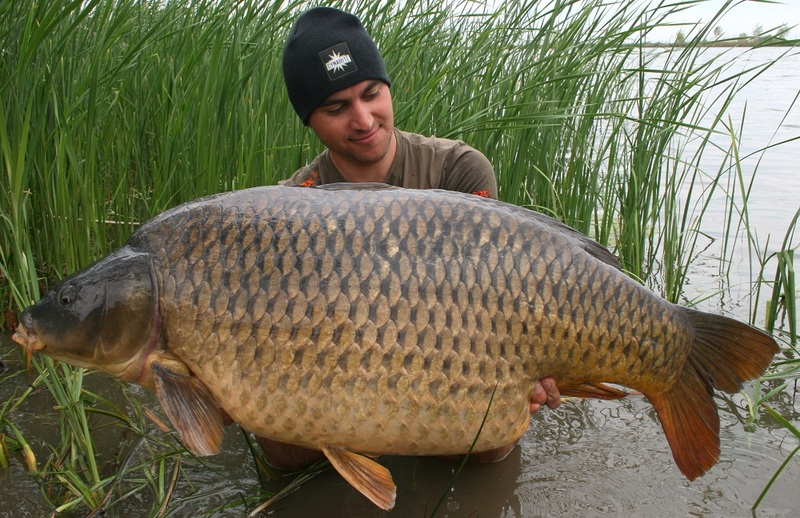 Find the best fish holding areas and you can enjoy catches like this…. “When choosing the location we have to ask ourselves: ”What do we already know about the chosen lake?”. 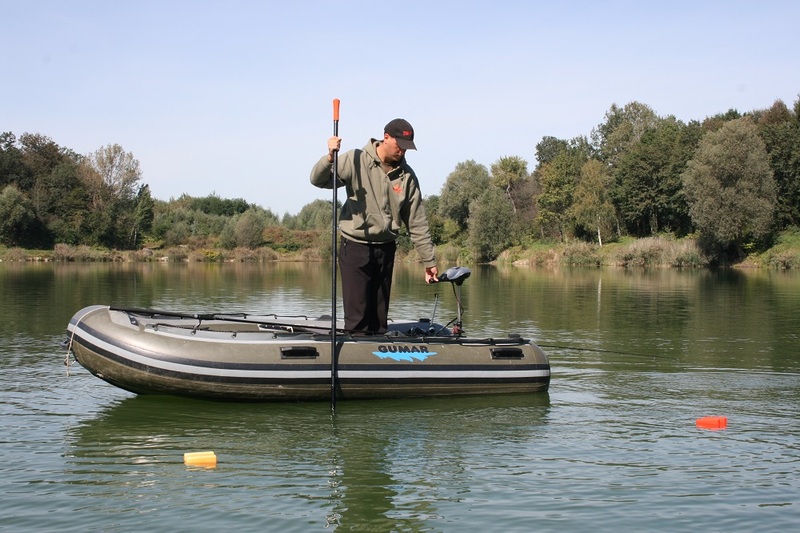 Before fishing it is important to know the main characteristics of the lake and to collect as much information as we can from the local fisherman or people that know the lake very well. That is going to help as a lot in the beginning as we slowly start to put together a picture of the lake in our head. This is what is going to bring us to the right location. Here I have to warn you not to always trust information coming from other people as not everyone has good intentions. When collecting information always put the depth of the lake in the first place. It is going to solve the majority of questions and you are going to be able to avoid some parts of the lake in certain seasons. In case you are fishing in spring you have to be looking for the shallow parts of the lake where the carp are going to spoon. In those parts the water also gets warm quicker which causes larger quantities of carp natural food to be appear there first. After a freezing winter carp need warmth as well as natural food so they will certainly be around. You also have to pay attention to the direction in which the wind is blowing. Warm south wind is best as it strongly affects the movement of the carp by mixing the water and changing its temperature. In the summer time carp are hardest to be located just by the depth. 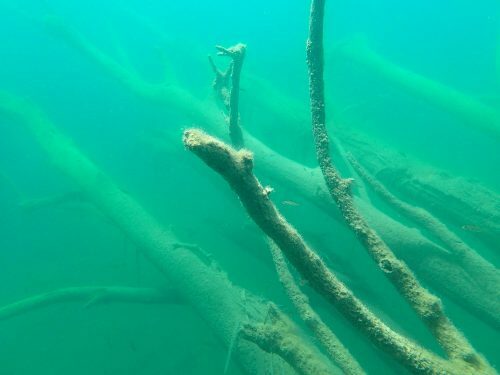 They can be anywhere in the lake, on any depth so by my experiences it is best to go with the average depth of the lake. In the autumn and winter the carp are moving deeper so you can find them anywhere between the average depth and the deepest parts of the lake. Some fisherman say you have to pick the deepest part of the lake when fishing in winter but to me those parts have been shown to not always be the best choice. It is true that carp were there but they were not feeding in that spot. You can never go wrong by choosing one of the locations that are constantly good (by number of catches) throughout the year as that is where the carp had food available for the longest time. Carp remember those places very well and return there to check if there is any food left. Along with the depth another important thing is the structure of the lake. You have to be careful about the obstacles in the water and the vegetation. Fallen trees in the water, areas covered in weed and stumps are things you have to pay extra attention to. 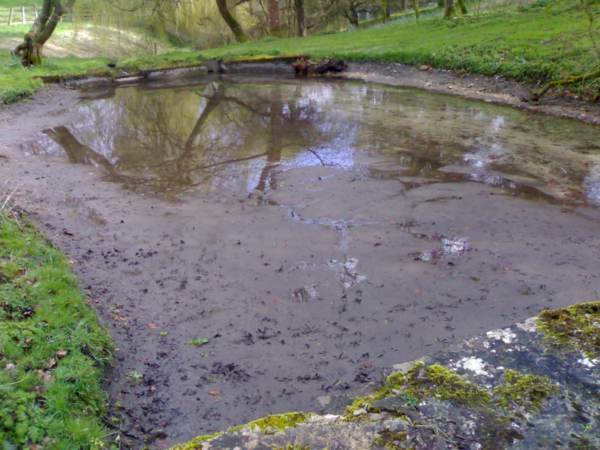 Those areas offer carp safe shelter for them to rest in. They are also spots rich in natural food so carp really have everything they need there. But those are not always the best locations to fish at. You have to realize those are the places carp mostly choose to rest in only. When I was fishing at one of the lakes in France the carp were gathering under a big tree that was leaning over the lake. The carp were there constantly and lots of fisherman put their systems there but no one managed to catch a carp there. They had the bait literally in front of their mouth but they refused to take it. The tree obviously only served them as a resting space with nice shadow and they felt safe there. “When I go fishing I put a lot of time and effort into choosing the right micro location when picking a carp fishing swim. In my opinion it is becoming more and more important due to the carp being under a lot of pressure on a lot of venues in the last few years which causes for them to avoid areas where they had a bad experience. That is why we have to try even harder to find the right micro location in order to trick them. A good micro location is really hard to be pointed out precisely. We know a lot of different types of lakes and the right micro location varies according to that. I will give you some general information on how to do it that apply to all lakes. After choosing the right location the only thing left for you to do is choosing a small area within that location where you are going to place your system. Finding that area is easiest by going on a boat or even better – diving. Finding it by using a marker from the shore is very hard but still a useful tool. When using a boat a sonar and prodding stick (a stick made out of carbon meant for checking the lake bottom) are your best friends. Using those tools you are going to be able to find a location that is only 1×1 metre big. That is especially important when you are fishing in weed or grass. You have to make sure that you have really found a spot/area in the weed that is completely clear. In case the bottom of the lake you are fishing at is very plain (not dynamic) a small micro location of a different bottom is a direct hit. For example a small gravel patch in a silty area of gravel. The general fact is that you should be looking for a hard bottom when carp fishing such as gravel. That is true but fishing can be just as successful on a softer bottom such as silt too. I have caught quite a few memorable fish myself in 5-15 cm deep mud. I would recommend you to fish in the mud when the carp are not active or when you haven’t been able to catch anything on hard bottom. You have to be careful that the mud doesn’t stink and that there are not old rotten leaves on it. Rotten leaves and grass on the bottom are a sign that carp have not been feeding there for quite some time. If they would be feeding there the bottom would have been clear. The mud also shouldn’t be too deep because then our lead will pull the bait along in the mud. Carp tend to avoid deeper mud as it means that the rotten leaves, plants and poo have been gathering here for a longer period of time. You can expect to encounter deeper mud in the deepest parts of the lake and individual lake basins. I would like to give you two more reasons for why to fish in the mud. The right mud is anywhere between 5 and 15 cm deep. The first reason is that ”right mud” is very hard to find so those micro locations are fished by very few fisherman. Carp can rarely find food (that comes from fisherman) there and that is why they are less careful when on those spots. The other reason is completely logical as carp can find abundance of their natural food in the mud, especially the well-known Blood worm. In these conditions baits like pop-ups are ideal. 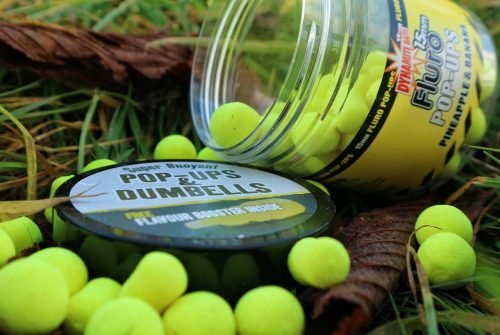 I favor the hero pop-up ranges as well as bright baits such as Dynamite Pineapple and Banana Fluro. We can conclude that when we don’t get a catch on a hard bottom for a longer time the carp might be feeding more on their natural food. When that happens we have to adjust to the situation and start fishing in the mud which will increase our chances for success. When it comes to fishing on hard bottom, again, we have more options. I divide it into three parts: fishing on rocky, sandy and clay bottom. For me personally sandy bottom is the best for fishing. It means that it is covered in fine sand. It is usually easiest for carp to find our bait/food there. Clay bottom is similar but it is really hard to be found on some lakes. There is often only a really small area of it. Clay bottom has another advantage – in most cases it is completely clear as not a lot of plants grow on it. What we have left to choose is rocky bottom. I mostly avoid it when I go fishing except when I fish at gravel pits where that type of bottom is all over the lake. On those lakes carp are used to feeding on that type of bottom. The only problem left is our hook which can get ruined quickly when encountered with the rocks.